After a period of slow recovery, first-time buyers finally began making moves last year – setting the stage for an even more active 2017 as anticipated interest rate increases and steady job creation continue to fuel demand. How will the election impact the housing market, and what trends will shape home construction and design in 2017? Leading residential real estate experts recently offered their predictions for the year ahead. The Federal Reserve’s decision to raise interest rates in December for just the second time in a decade is another positive sign. While homebuyers can expect the same minimum requirements when applying for a mortgage, new technologies will make the process easier. Islands are becoming not just more flexible and spacious in 2017 but are also a destination within the home. 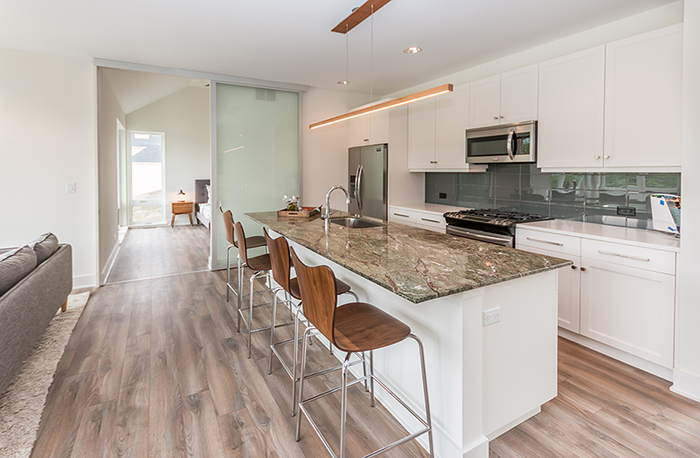 According to Glenview, Ill.-based Edward R. James Cos., while the kitchen is the main topic of discussion with homebuyers, it’s the island that gets the most attention. But kitchen islands aren’t only changing in size – they’re also changing in configuration. 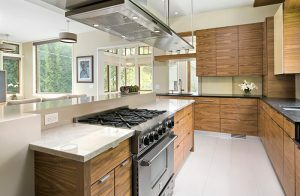 Elissa Morgante, co-principal of Evanston, Ill.-based Morgante Wilson Architects, says “spectator” kitchen islands, with the range as the focal point, are growing in popularity among serious at-home chefs. 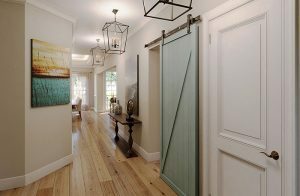 Interior sliding doors – from space-saving pocket doors to barn doors and wall partitions – are becoming a must-have feature in 2017, whether they’re in a single-family home, apartment or condominium. Homebuilders, too, are discovering the appeal of sliding doors. Evans notes an uptick in buyers choosing pocket door options at the builder’s Anets Woods community in Northbrook, Ill.
Photo courtesy of Edward R. James Cos.
And at Heritage Harbor Ottawa Resort, a vacation home community in Ottawa, Ill., barn and pocket doors are an ideal fit for vacation properties inspired by seaside cottage living. “Many of our homes are intentionally designed to be smaller and easier to maintain, and these types of doors allow us to pack more function into less space,” said Tammy Barry, director of sales and marketing. 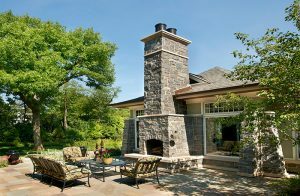 Whether they’re in a high-rise residential tower or single-family home, outdoor living spaces have emerged as one of the most coveted features for buyers and renters, especially in cities where green spaces are few and far between. Learn more about Lexington Homes. Get updates on news, events, and special promotions in this community. "I enjoy my new home at Lexington Row Homes at Port Clinton."